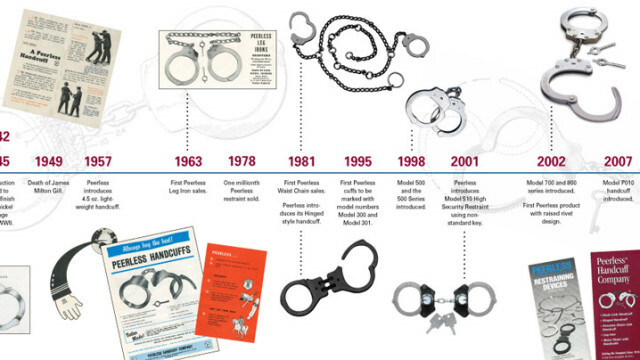 Founded in Springfield, Massachusetts, the Peerless® Handcuff Company’s full line of chain-link handcuffs, hinged handcuffs, oversize handcuffs, leg irons, waist chains, and other restraints have been the industry standard for more than 100 years. All of its products are designed to meet or exceed the tough U.S. National Institute of Justice standards for strength and quality and are backed by a lifetime guarantee for manufacturer defects. James Milton Gill founded the company after purchasing the patent for a new handcuff design that would revolutionize the law enforcement profession. The inventor was George Carney. Carney’s innovation was the now familiar swing through self locking handcuff. Unlike other restraints of the day, this design was relatively lightweight and easy to carry. The new style handcuff also gave officers a significant advantage since it was easily applied and effectively restrained both hands. The combination of lightweight and ease of use greatly increased officer and public safety. 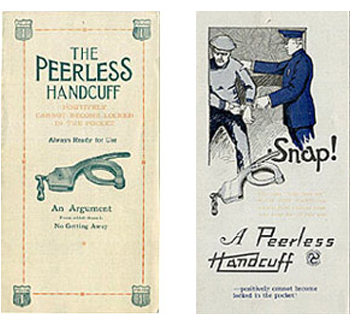 The new Peerless® handcuff quickly became popular, rendering other types of handcuffs obsolete. Over time, and after the patent expired, the design was copied by most other handcuff manufacturers. 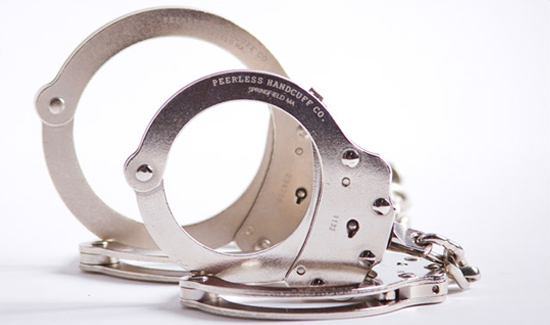 Now in its fourth generation, Peerless® Handcuff Company remains a family business committed to producing the finest restraints available, offering a full range of metallic restraint products and accessories. 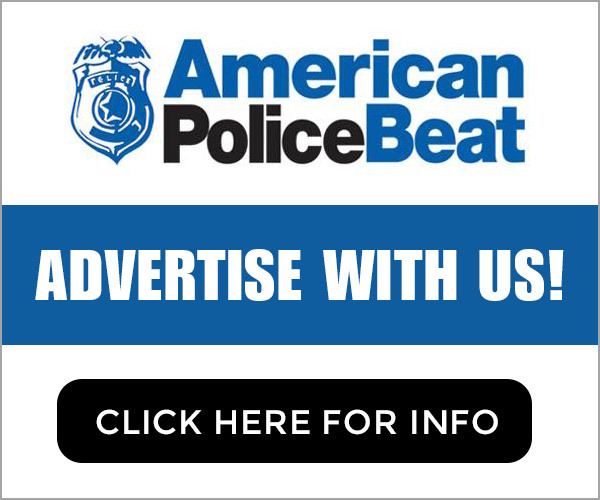 These products are used by law enforcement, correction and military agencies throughout the U.S. and abroad. 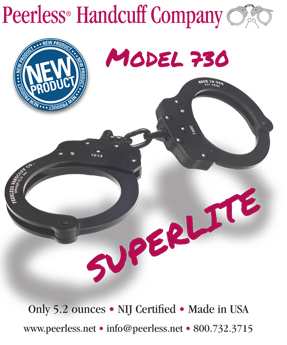 Introducing the new Model 730C – Superlite chain link handcuff. Weighing in at just 5.2 ounces, the Model 730 is nearly half the weight of a typical standard chain link handcuff. The Superlite is designed to meet the demands of law enforcement professionals while making the job a little easier. Find out more at www.Peerless.net.